“I will always try and it is also my belief that the president’s post should be above politics,” said NDA’s presidential candidate Ram Nath Kovind who filed the nomination papers on Friday. 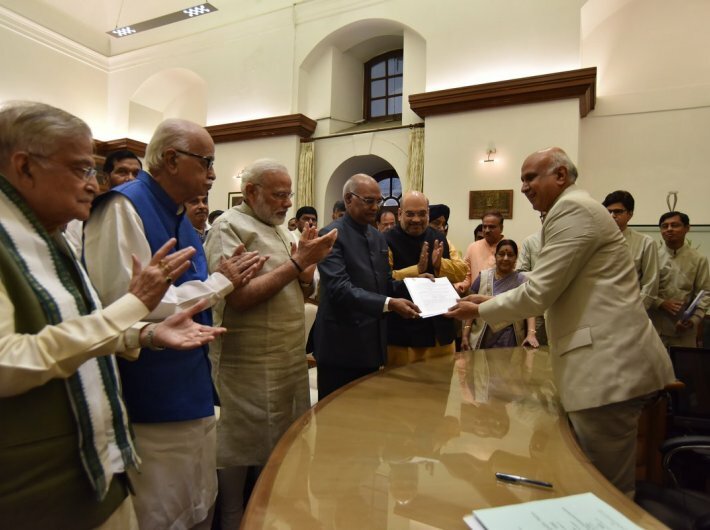 “Since the time I became governor, I am no longer part of a political group,” said Kovind, minutes after filing the papers for the presidential poll in the presence of prime minister Narendra Modi, BJP chief Amit Shah, BJP patriarch LK Advani and other senior leaders. Kovind was the Bihar governor before his name was announced as the presidential candidate. Kovind is pitted against Meira Kumar of the UPA. The election will take place on July 17. The winner will be the 14th president and succeed president Pranab Mukherjee whose term ends on July 24.